After much careful thought, and a particularly relaxing Saturday, I’ve decided that the theme of my summer should be “picnics and ponies.” Both elements offer a welcome escape to my youth, back when I was an equestrian hooked on all things horsey (Exhibits A and B: visits to the local racetrack and the Kentucky Derby; primary reading material vacillating between The Saddle Club series and the latest Dover Saddlery catalog), and had a back patio that cried out for simple outdoor meals. Fortunately, Virginia provides excellent opportunities to get back to these basics, as long as you’re willing to take a leisurely hour-long drive. 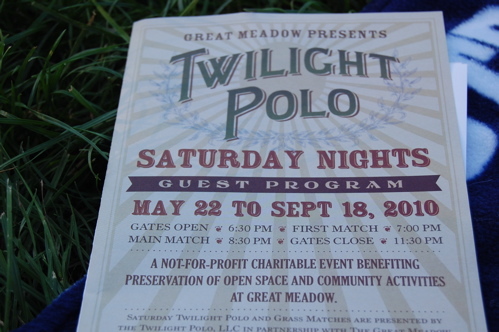 Then, you can stake out a place at the best venue in horse country for both picnics and ponies—by which I mean the twilight polo matches at Great Meadow in Middleburg. And I don’t know about you, but I’m certainly not deterred by a country drive on traffic-free, tree-shaded roads, especially when I’m listening to the Allman Brothers Band and feeling dappled sunlight warm my forearms as I mark the miles in picket fences and grazing cows. But for everything needed to fill the cooler, the first stop was Red, White & Bleu, a chic little store just around the corner. We pored over racks upon racks of wine and peered through a glass window at the cured meats. At the cheese counter, where they practically force incredible samples into your eagerly outstretched hand, I tucked into a tangy goat cheese and a pleasantly salty Gruyère. We walked away with more than just samples of those two, as well as a quarter pound of fennel-scented salami. (I also walked away with an aching desire to run away and start my own adorable wine-and-cheese shop with hardwood floors and laid-back employees. But I digress.) Waiting patiently in the car outside? A crisp-crusted baguette, a cheap bottle of Sauvignon Blanc, and the products of that morning’s successful brownie experiment. I was ready for all the polo that Middleburg could throw at me. Approaching Middleburg, you see one impossibly charming sight after the next, and the best part is, they’re all placed so closely together that you barely have a chance to recover between exclamations of “aww” and “look how cute!” There’s a family-run vineyard resting snug against a white-steepled church, which is nestled against the paddock of the sprawling stable that’s across the street from the antiques store. The small-town charm would be enough to make you retch, really, if it weren’t so darn intoxicating. 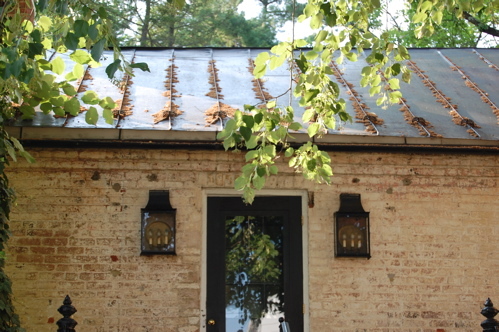 A contributor to the Washington Post described Middleburg as D.C.’s answer to the Hamptons. I’ve never been to the Hamptons, and I’m fairly sure that Steven Spielberg doesn’t summer in tiny Middleburg, but I can imagine that both places evoke some similar feelings. 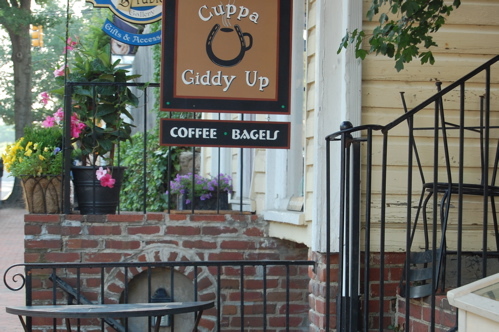 The character of the town’s boutiques, tasting rooms and restaurants was citified; Middleburg’s offerings felt remarkably trendy considering how away-from-it-all it was. And little references to horse country were everywhere, from the Cuppa Giddy Up coffee shop to the National Sporting Library that sits within city limits. They ride horses in the Hamptons, don’t they? 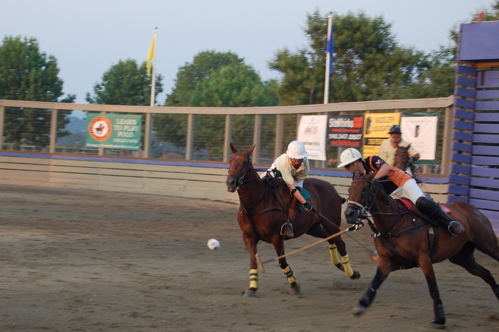 I was both a spectator and a student at the night’s main event, two polo matches played as the daylight dwindled. 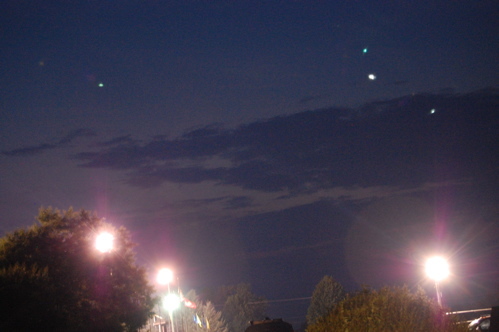 Set up on a gently sloping hill, we spread out our blanket and dinner, noshing and people-watching as the sport unfolded. 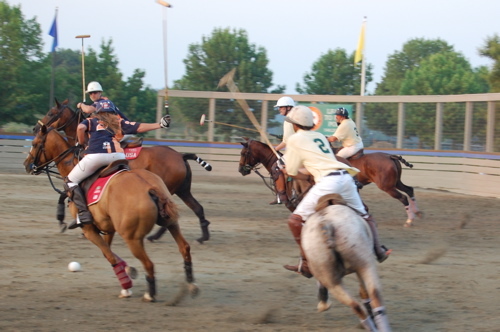 Imagining myself on horseback, I cringed as the players lifted and swung their mallets, but relaxed as I started trying to discern the rules of engagement. Hockey-like goals were topped by lights, which went off when points were scored; you got extra points, apparently, for making half-court shots rather than tapping the ball in. Quarters were called chukkers, for some intriguing but unknown reason. And that was all you really needed to know in the end. Sprawled in the shade, bellies full, I found as much joy whooping it up for the galloping horses as I did watching babies chase each other around the lawn. (By the end, I had even learned to ignore the leering announcer who ogled the female players, which—believe me—was no easy feat.) Who needs the Hamptons? Steven Spielberg can hold down the fort there. As for me, I’ll content myself to summer in Middleburg, Virginia.